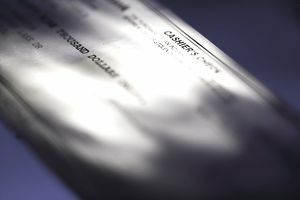 A cashier’s check is a form of “guaranteed” payment, and those checks are often used for significant transactions and large purchases (like a down payment on a home). What if you lose a cashier’s check or it gets stolen? When you no longer have the check because it’s been lost or stolen, or you want to “stop payment” for any other reason: Fill out forms with your bank requesting that they return the money to your account. See below for complete details on this process. Sellers like cashier’s checks because—assuming the check is legitimate—those checks can’t bounce. The issuing bank promises to pay cashier’s checks out of the bank’s account. Unless there’s clearly fraud involved (such as a forged endorsement), the bank should honor the check and the funds should be available quickly. However, that security is exactly what makes it hard to cancel cashier’s checks. If you could simply stop payment on those checks, they would become less useful. Still, there are ways to protect yourself from thieves. Unfortunately, it takes time, and your bank might not honor your request. Learn about the details below. If your check is lost or stolen (whether you’re making a payment or you received it as payment) you need to contact the issuing bank immediately. Again, you can’t stop payment on a cashier’s check, but it is a good idea to let the bank know that something is happening with the check so they can flag it for a closer look in case it comes in. To report a lost or stolen check, file a declaration of loss with the bank that issued (or printed) the check. If you received the check as payment, hopefully, you have a copy of the document. If not, you may need to contact your customer to find out which bank issued the check. During the 90 day period, the bank might still pay the check to whoever presents it. If the check was stolen, you can assume that the thief needs to forge your signature for endorsement or do something else illegal, so there’s a decent chance the bank will notice (assuming you’ve alerted them to the fact that the check is missing). Other situations: If you simply changed your mind about making a payment—but you sent the payment—there’s nothing you can do to stop a valid payee from depositing or cashing the check and claiming the funds. If there’s been a mistake or dispute, you’ll need to recover the check (or the funds) from the payee another way. That may require legal action or negotiation without any bank involvement. After the 90 day period ends and the check is still outstanding, the bank will release funds to whoever has a claim on the money (either the payee or the account owner, depending on the situation). If somebody tries to deposit the check, the bank will return the check without honoring it. 90 Days is Too Long! What if you need the money sooner? Cashier’s checks are typically large checks, and the bank took those funds from your account (or took cash) while issuing the check. Unless you’ve got plenty of extra money, you may have a cash flow problem. You can always ask for a replacement check, but don’t get your hopes up. Again, the bank is on the hook to pay for the first 90 days after issuing the check. Banks face severe consequences if they refuse to pay on a cashier’s check—unless they have a really good reason not to. The bank might simply issue a replacement check if they’re willing to risk having two checks out there, but that’s the exception and not the rule. Your odds are best if the dollar amount is small and you can convince the bank that the original check will never surface. Sometimes banks reissue cashier’s checks if you sign an indemnity agreement: If the original check is presented and the bank has to pay twice, you’ll have to reimburse the bank. For this to work, the bank needs to believe that you’re good for the money, and that’s a challenge with large checks. You might even be able to get a bond issued by an insurance company that covers your liability, but that’s difficult and expensive (and is not a realistic option for most people). What if you still have the check, but you just don’t need it anymore? For example, you may have decided not to go through with a purchase at the last minute. You don’t need to file a declaration of loss if you still have the check. Instead, you can typically return it to the bank and write “Not used for purpose intended” on the check. Contact your bank and ask what the requirements are. Your bank should return the funds to your account once they get the check back. Some banks make it hard to cancel a check that you’re not going to use. It makes for a poor customer experience, but they must have their reasons. If your bank refuses to return funds to you, you may need to wait longer or fight harder (ask to speak to management) to get your cash. Then, vote with your feet and open an account somewhere else. The fact that you’re reading about canceling a cashier’s check suggests that you’re in the middle of an important transaction, and there might be a lot of money at stake. This article is just a starting point—you really need to speak with your bank now that you’ve learned how things work in most (but not all) areas. You should also meet with a local attorney to evaluate your risk and discuss your rights. Find out what the specific next steps are, given your bank’s policies and your situation.